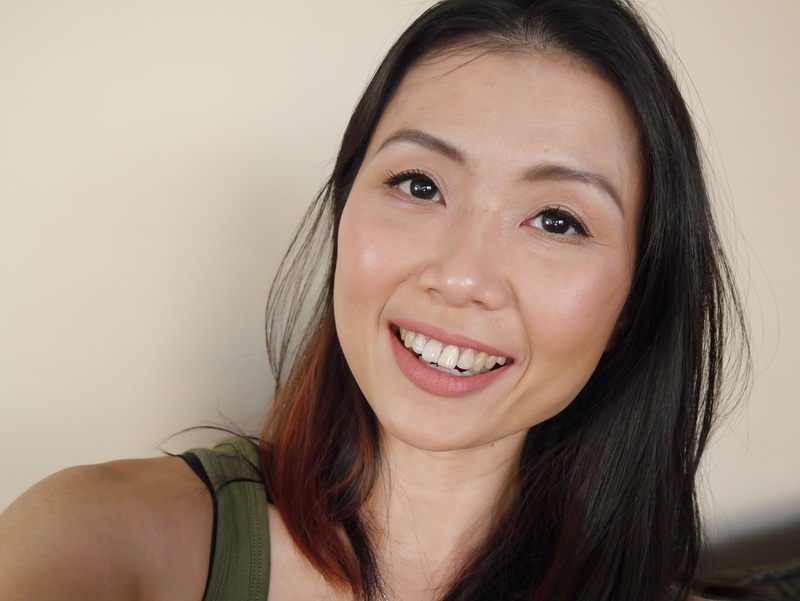 WHEN CRUELTY-FREE MEETS VEGAN AND BUMPED INTO ORGANIC: THE ORGANIC SKIN CO.
Hello lovelies and lets chat....so how did you, your wallet and bank account survived Black Friday and Cyber Monday madness? I wish I can proudly declare about me behaving and my restraint from going hog wild was due to will power but alas, I am officially broke and unable to shop anymore. I picked up a few beauty stuff here and there through Sephora, some are brilliant and others, well, other made it into my list of 2018 disappointing products. Yes, I am still bitter AF about that one product but the good news is, today's post is about a green brand that truly blew me away by their quality. Let's talk about this beautiful ethical, 100% natural, vegan, organic and cruelty-free brand all the way from New Zealand, The Organic Skin Co. The brand is the brainchild of Megan Douglas and not only you get the best quality, the company also works with Eden Reforestation Projects meaning they plant one tree for every product you purchase. They work with Indian Community Farms to source their organic ingredients and all their packaging are also made from recyclable ingredients. Got your attention yet? Let's talk about the products. 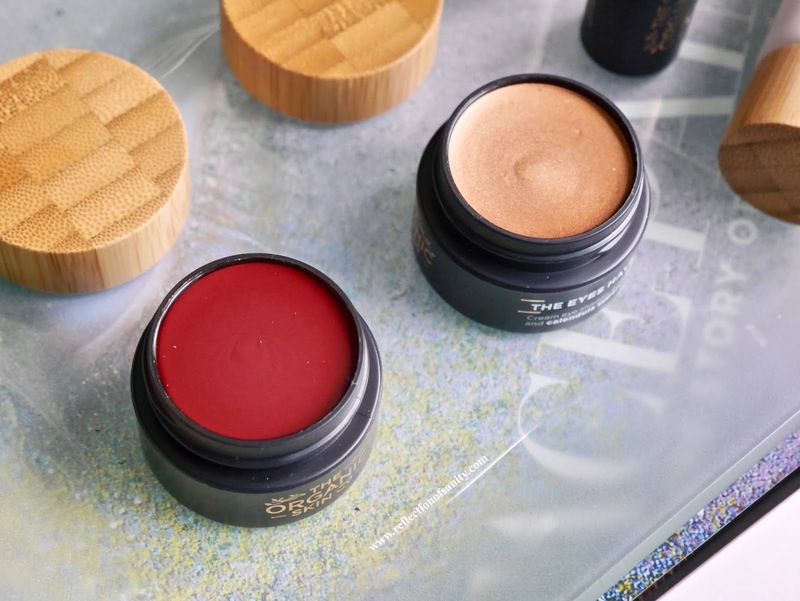 I was very kindly sent Cheeky Lips Blush and Lip in shade Madras*, The Eyes Have It Cream Eyeshadow in shade Highlights*, Lip Service Lipstick in shade Summer Sand* and Nitty Gritty Almond Seed Exfoliant*. If you follow me on Instagram then you know I am head over heels in love with both Madras* and Highlights*. Both products have similar texture; a little stiff so I need to really warm it up with my finger before application. They are both very pigmented, blends like dream and have amazing staying power. They lasted on me more than 8 hours before I noticed fading. Need one more reason to love these? They are also food for our skin as they are made with lots of plant oils and botanical extracts. 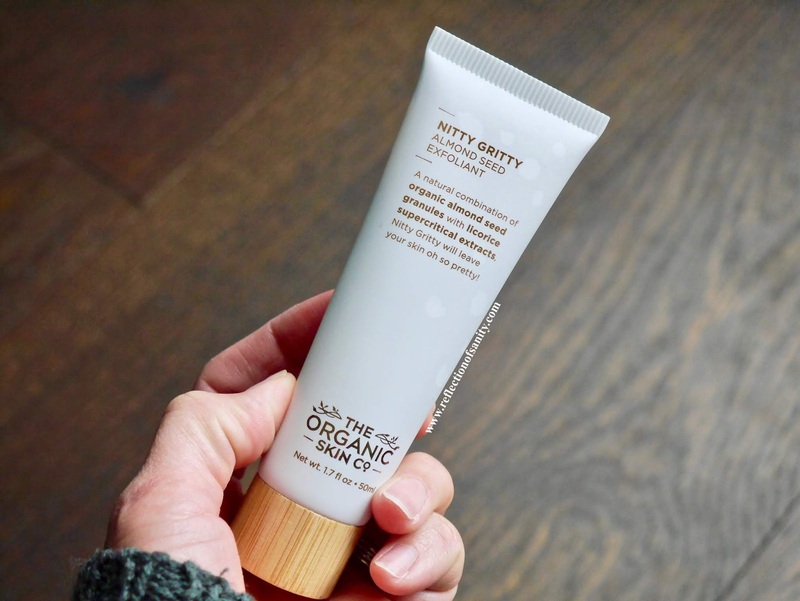 I'm not going to lie, I was really worried about testing Nitty Gritty Almond Seed Exfoliant* as I thought it would be another version of the infamous St. Ives Apricot Scrub but it's anything but that! This is a physical exfoliant but the granules are so fine that they feel like melting salt scrub against the skin. It leaves my skin feeling super soft and smooth and without any irritation. 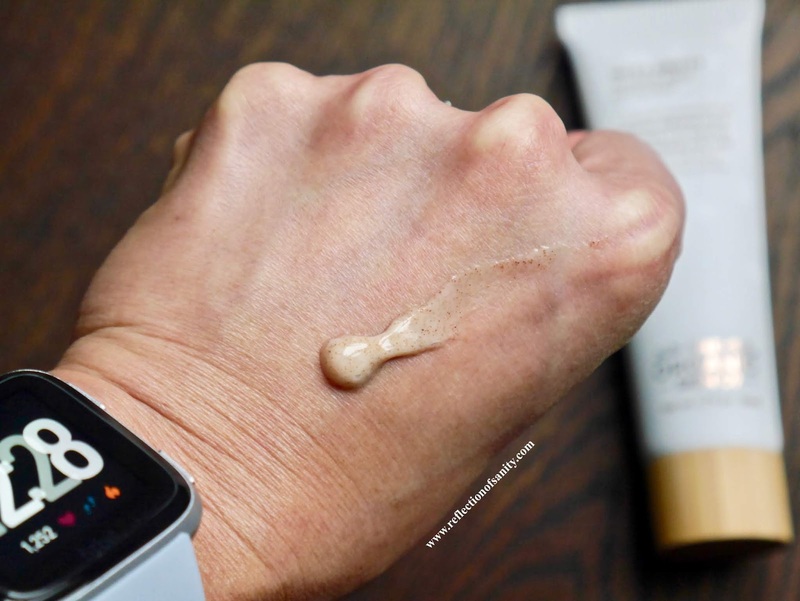 It has a short and brilliant ingredient list (click product link for the list), basically it's a tube full of goodness for the skin. Now to the last product and the one that I was most excited about, the lipstick. Unfortunately this is the one dud for me. 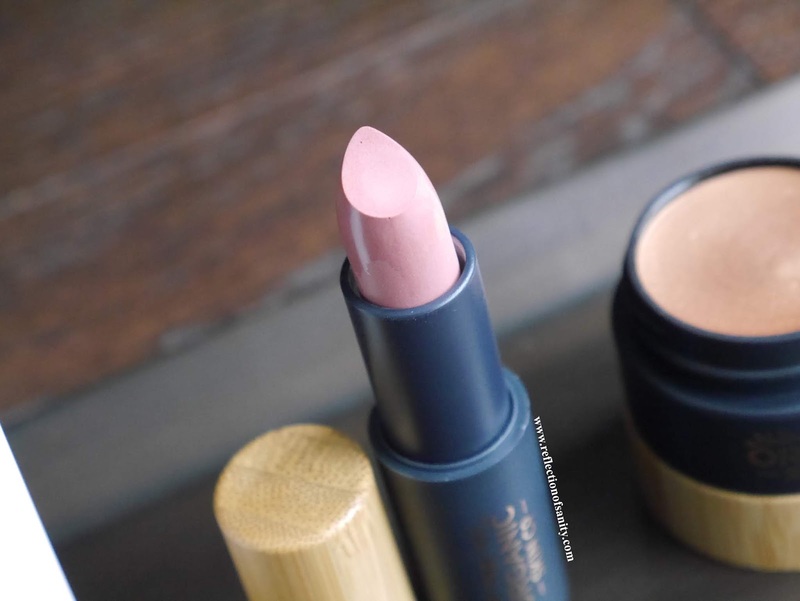 The formula itself is pretty good; it goes on well and feels nourishing on the lips but there is no staying power. 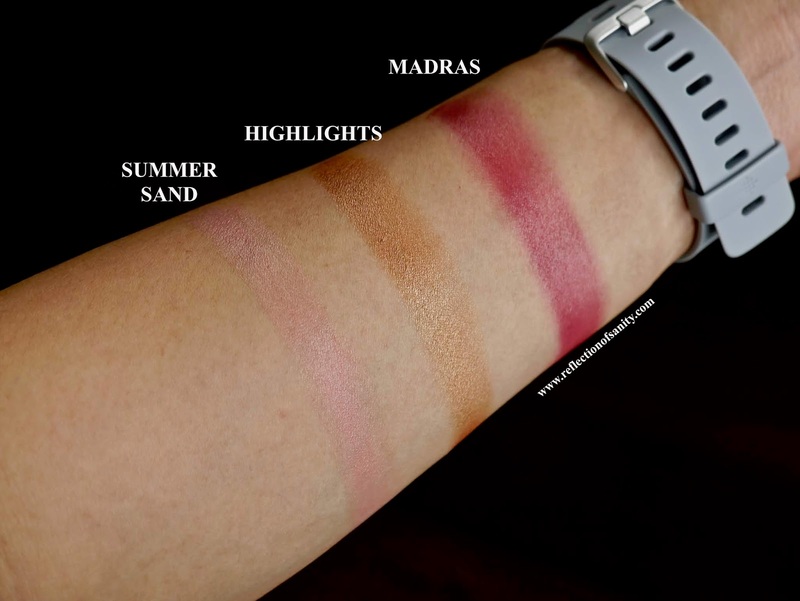 Now, it could be due to the shade that I received, Summer Sand* which is sheer pearlescent light pinkish shade so it seems to disappear before my eyes. I find the pigmentation is lacking as it barely showed up on me despite multiple swipes. Again, this could be a problem with this shade against my skin tone and as you know, I am all about bold, bright and red lips. This could be for you but it's a hard pass for this mama. 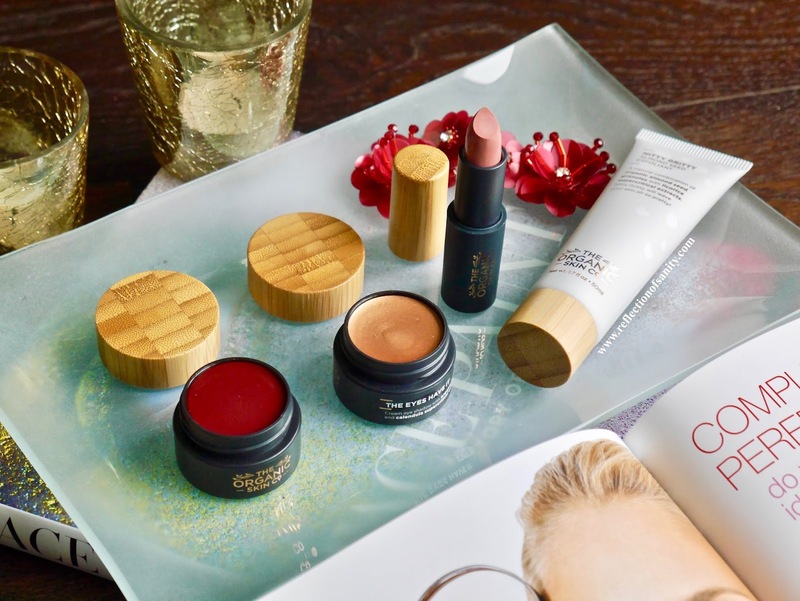 This is such a lovely introduction to The Organic Skin Co. and not only I have so much respect for what they stand for, the quality of the products are superb. I definitely look forward to trying more from them! Get familiar The Organics Skin Co. by visiting their website here. They ship worldwide and you get free shipping for orders US$50 and above.